Come to Rockwood Bed and Breakfast to experience Manali with splendid valley view right. The hotels exterior is a mix of stone and wood furnishings and the interior is a mix of wood and concrete, the material combination gives it a traditional and warm feel. 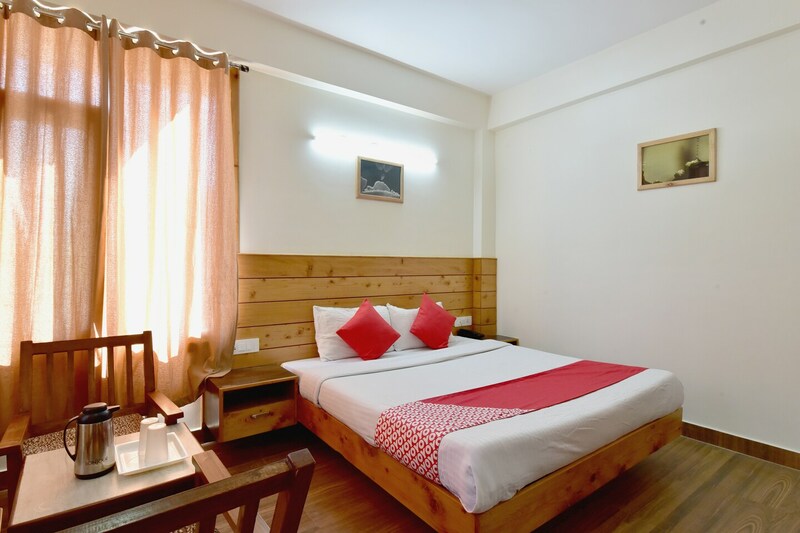 The contemporary rooms come with TV, kitchen, king size bed, seating area, parking facility and CCTV cameras offering you a comfortable stay. Moreover, its location is ideal as it is found near National Highway 73 and popular tourist spots like Buddhist Monastery.